KATHMANDU, Jan 9: The Lokman Singh Karki saga came to an abrupt end on Sunday, with the Supreme Court disqualifying him from heading the powerful anti-corruption body, Commission for Investigation of Abuse of Authority (CIAA). The ‘terror’ that Karki struck in bureaucratic and political circles is now gone. The years-long legal battle waged by lawyers, including by Om Prakash Aryal, the moral pressure brought to bear by anti-corruption crusader Dr Govinda KC and the bold stance of Chief Justice Sushila Karki appear to have at last caught up with the defiant Karki. Given to riding roughshod over all and sundry right from the start, he has largely been his own undoing. As the son of the late well-connected General Bhupal Man Singh Karki, he was able to join the Palace Service as an under-secretary through royal command in 1984. After the restoration of democracy in 1990, Karki became close to the all-powerful Girija Prasad Koirala. His ties with the Koirala family were so strong that the then prime minister chose instead to sack Minister for Water Resources Baldev Sharma Majgainya when the latter complained about Karki, who was then secretary at the ministry. Soon after the royal takeover, Karki won the trust of then king Gyanendra and became chief secretary, sidelining some senior colleagues. The commission formed after the success of the People’s Movement in 2006 accused Karki of abusing state authority in suppressing the peaceful movement. The commission headed by Justice Krisna Jung Rayamajhi not only recommended that the government book Karki but also disqualified him from holding public office in future. Karki then spent his days meeting godmen and intelligence people in India and was eventually able to make a comeback, as chief of the anti-graft body in May, 2013, when there was no parliament. By then, he had developed good rapport with top leaders in Nepal. Although public opinion against Karki was overwhelming, the then caretaker government headed by Khil Raj Regmi succumbed to pressure from ‘unknown’ forces and appointed Karki as CIAA chief. Regmi reportedly threatened to resign and thwart the prospect of holding elections to turn over executive power to the political parties if they objected to Karki’s appointment. Soon after his appointment, Karki literally transformed the CIAA into the Tangal Durbar ‘parallel government’, even undermining Parliament by repeatedly snubbing its meetings. Karki had the licenses of over a dozen hydropower projects scrapped and sowed fear in the bureaucracy and the police so that they would be loyal to him instead of Singha Durbar. As the chief of the CIAA, Karki even tried to take personal revenge when lawmakers including Surendra Pandey and Janardan Dhakal challenged his working style. He summoned 29 individuals including the lawmakers on charges of corruption. Civil society members and journalists, who were critical of him, also became his target. His moves were highly controversial as many of those he accused of corruption were vocal critics of the Indian blockade. Karki reportedly left untouched over 300 complaints registered with the CIAA for illegally amassing disproportionate property, while hauling in many small fry. Though targeting critics, Karki protected his cronies. He put the corruption case related to then All Nepal Football Association Chairman Ganesh Thapa on hold. According to a report of the parliamentary Public Accounts Committee, Thapa misused Rs 580 million during his two-decade reign at the football governing body. He is said to be a Karki relative. The parliamentary committee had submitted a report to Karki asking him to investigate further and book the accused. In response, Karki dismissed the case, arguing that it lacked necessary evidence. FIFA later found Thapa guilty and slapped him with a 10-year ban. Karki is also accused of abusing his authority while increasing the MBBS quota (from 75 to 135) at KIST Medical College, where Karki’s brother Balman Singh is a shareholder. His sway in the medical sector was so rampant that CIAA officials even conducted the post-graduate entrance examinations at Kathmandu University School of Medical Science. His excesses were not limited to profit-making businesses. He also put undue pressure on other regulatory bodies to silence unfriendly media houses and independent think tanks and NGOs. Inland Revenue and the Social Welfare Council were pressured to initiate probes into Social Science Baha and the Alliance for Social Dialogue. Karki announced he was opening the files on embezzlement at the PLA cantonements as a bargaining tool to press the Maoist Center to prolong his stay in power. This was a few hours after the SC decided to review its previous ruling on his appointment. Karki was reportedly preparing to summon top Maoist leaders including Pushpa Kamal Dahal on the charge of accumulating disproportionate propertiy, and this led the lawmakers to register an impeachment motion against him. Karki’s days of glory became numbered when the apex court granted permission to review its previous ruling on his appointment. When advocate Aryal moved the court, demanding that Karki’s recommendation as CIAA chief be scrapped, Justices Gopal Parajuli and Om Prakash Mishra had quashed the writ petition, arguing that his service in the royal palace also counted as government service. 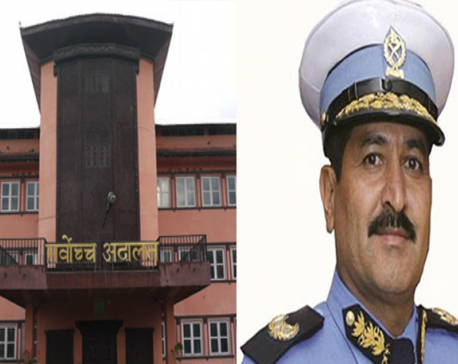 Responding to Aryal’s second writ petition in November 2014, the chief justice-led bench decided to review Karki’s appointment. It had also asked the government to provide original minutes of the cabinet meeting that endorsed his appoiontment and required Karki to appear before the court. When court messengers reached his Baneshwor residence, Karki mobilized security personnel and relatives to foil them and pressured government officials not to furnish the minutes. Even after his suspension from his post with the registration of the impeachment motion, Karki continued to fight back. This stiffened the chief justice’s resolve to stay her course, which has ultimately ended the Lokman saga. 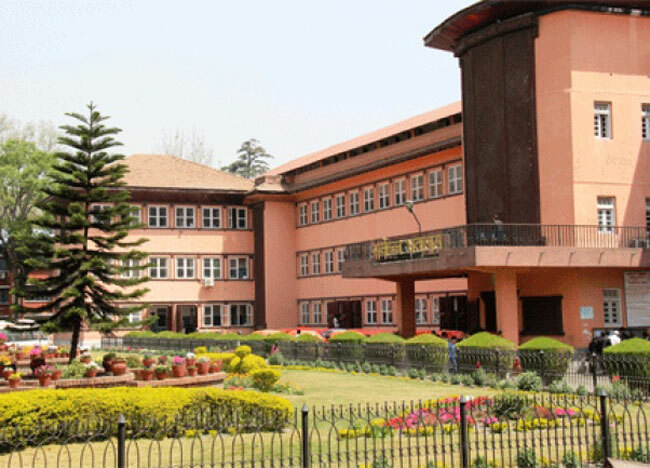 KATHMANDU, Aug 7: Supreme Court on Sunday stayed the expansion of Kalanki-Nagdhunga road pending the next order from the court.